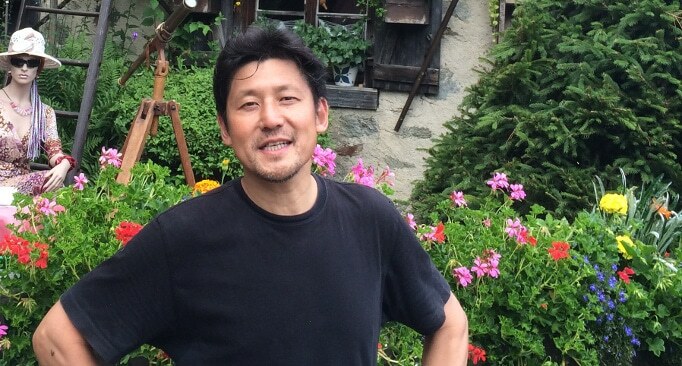 Tadashi Tanimoto is a man with a big successes behind him and a big dream ahead of him. The IPO of Realcom was just a milestone in a longer journey to change the way people work together and share information. Now, I realize, that sounds like a typical committee-written and board-approved mission statement from any number of enterprise software companies. But as you get to know Tadashi, you begin to understand that he not only means it, but lives it. 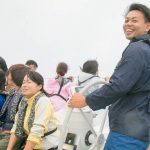 Tadashi started Realcom at the worst possible time – just as the Internet bubble was breaking, and he set about selling a knowledge information product and service package that his customers did not even know they needed — at first. Many were not optimistic about his prospects early on, but hundreds of customers and a successful IPO has proven the critics wrong. These days, Tadashi is spending a lot of time on his new Tenex project in which he is investing in and mentoring the current generation of Japanese startup founders. Friend Tadashi on Facebook. He’ll be talking more about Tenex there. Disrupting Japan straight talk from Japan’s most successful entrepreneurs. I’m Tim Romero and thanks for joking me. Today we sit down with Tadashi Tanimoto of Realcom. A knowledge management platform that he founded in the depths of the 2000.com bust and that he grew steadily until he IPod it in 2007. 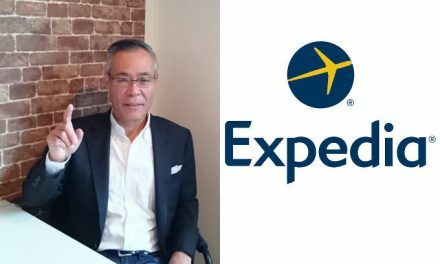 Tadashi now devotes a lot of his time to his new firm Tenex which focuses not only as his personal investment firm but also educating and mentoring Japan’s up and coming generation of Entrepreneurs. Now Tadashi has been deeply focused on changing the way people and group interact with each other and share information. And that’s something I grant you sounds like thousands of mission statements from so many companies around the world. But he really walks his talk and that will be obvious as the interview progresses. We’ll talk not only about the importance and methodology behind effective information sharing but we’ll talk about the key differences in the way people communicate in San Francisco and Tokyo. 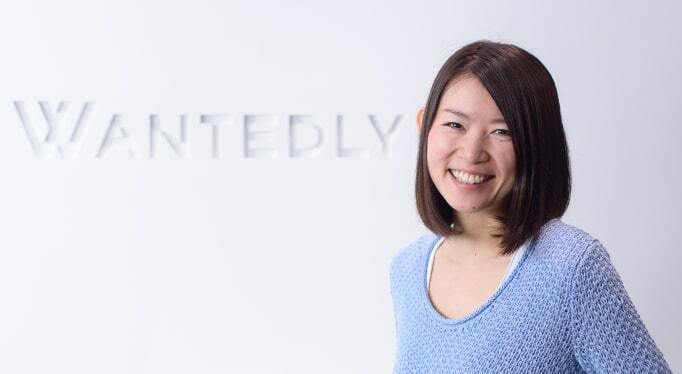 A bit about what driving the recent spike in M&A activity here in Japan and why international experience is really important for any start-up founder even if they think they only want to be focused on the domestic market. And about why American companies actually make better customers for startups. It’s really a fascinating interview and I think you’ll enjoy it. So here we go. Tim: We’re sitting here with Tadashi Tanimoto of Realcom and Tenex and Realcom in Japan is by far the leading knowledge management solution here. You’ve got more than a 150 really large Japanese customers using it. Before we get started can you tell me a little bit about what Realcom does what knowledge management is and what it means in Japan? Tadashi: By knowledge management what I try achieve is to create the large community using or across the organization. Maybe the easiest way to imagine what we do is you can say our software is a Facebook for internet. So when we say knowledge sometimes people are just talking about text or such but I’m more interested in the interaction between people. Tim: So knowledge management is in the academic sense is very vigorous computer science approach. Japanese company executives are famously difficult to try and get them to define exactly what they need and exactly what the requirements are. So how did you take this very academic knowledge management approach and make it work in a Japanese company where requirements are so gray and so vague? Tadashi: That’s a very interesting point so in our selling process to the corporate executives we always get that kind of question. We try to first convince those people about the benefits of the knowledge management. Then if those people are interested we will explain how to make it but still when I say a knowledge community is in a way change the employees behavior in terms of sharing information or communication or sharing knowledge. Tim: So how does it change it? It what ways did -? Tadashi: What we are trying to provide is not a substitute but a true to change their culture of the organization. So it’s very difficult to prove how you can change their culture so we would start with a trial project maybe pick one small organization of fifty people or 100 people who could be the first user for that system. And maybe we try three to six months with our consulting help. Then like a management of the company see some good result they are excited and try to expand the knowledge management into the entire organization. Tim: So have some of the big – have you had some big successes? Are these companies actually – are employees actually being more willing to share information internally? Is it working? Tadashi: Yes I think in many cases. Most of the cases we are seeing a very good success. For example, one of our clients is construction management consulting company. Organizing some structure in the soil or what type of architecture should be on that specific ground. So that consulting firm was just a group of independent consultants, a team of people. So everybody has a big high skill and actually doesn’t think he needs to share any knowledgeable information with other consultants because he thinks he knows everything. Sometimes by sharing the knowledge you are losing your competency losing the organization. So the vice president did not believe it was happening in their organization but the president knew it was something that could be happening. Then we set up that software and tried to make a knowledge sharing community across divisions. Interesting thing was it was eight or nine years ago and fortunately or unfortunately we had then four or five months later we had another earthquake in area that they did a trial to share the knowledge they got in the earthquake to apply to the Niagara earthquake. So there that did work very very well. That changed every bodies thinking because when we apply the system everybody is skeptical but after even the small success they think this could be working for us. Tim: So was it the disaster making people want to pull together for one time or is this an ongoing behavior that from now on people are becoming more cooperative and sharing information? Tadashi: Yeah so once they believe in the benefits of that kind of sharing they keep doing it. Tim: They keep doing it. That’s fantastic. It’s incredibly ambitious I mean you are fighting against a very deep rooted Japanese business culture which is not really open to sharing. Do you see that changing inside Japanese culture as a whole? Are people becoming or are Japanese companies becoming more open to sharing information and working across divisions? Tadashi: Honestly speaking you just said we have about 150 customers and not all 150 is a success case. We have some failure cases of course. I think the most critical success factor is a leadership of the proper management. Because that kind of knowledge sharing will never happen if the middle management wouldn’t be cooperative. Tim: I think that’s a really interesting point because if you look at a lot of data analytics programs if you look at a lot of the more modern sort of gamification a lot of them provide value for the C level the top leadership but the people that have to do the work and have to really share don’t see benefits from it. So they tend to succeed. What is Realm doing differently to get that buy in? Tadashi: Of course the C level will get the benefit and also the people in the bottom of the organization. The people who are skeptical or trying to avoid or to stop is middle management because in many cases their job is just transfer the information so that you avoid your guys to your boss. Tim: So they can’t be just a gatekeeper anymore? So you have to add value. I see. Tadashi: So in other words with our system top management gets real information from the people. Tim: And the experts and workers get recognition for being experts and workers. Tadashi: You can easily find out middle management who has not added value on those activities. Tim: I can see why middle management would not be too happy about that. That’s really interesting. That makes a whole lot of sense. One thing I have to ask you. You started Realm in 2000 right? So it sounds like you were starting a company with a very difficult goal of trying to make transparency – you know introduce transparency into Japanese organizations. You were starting at one of the most difficult times to start a company right after the – right in the middle of the dot com crash. Most startups at that time were failing over like crazy so what did you do to keep the company going? To make a success in such a difficult time with such a difficult product? Tadashi: Actually we did not have very difficult time for that concept. It was I think it was the concept itself was very very productive at that time to Japanese companies. Let me get back to the original idea. Why I came up with that idea. Actually before starting Realcom I spent six years in the Silicone Valley doing consulting with the matchmakers between startup companies and large companies in Japan and Eastern Asia. Like introduce new technology to large corporations and then in the time before that those startup companies might get a chapter investment or some for that technology development. That is what I did and then I was very distracted by the itself. Tim: What aspects of it? What part of it? Tadashi: For example there are many event in secondary. Formal or informal. What I found interesting was when you meet with somebody you introduce of course yourself and maybe exchange business cards and in many cases you get somebody from large corporations they talk and say okay I understand you’re interested but what is your goal for your life. Or what are you interested – what can you do? That type of communication. Tim: So just very open and frank and personal? Tadashi: Personal. So then it kind of terrible to say but nobody cares what company you are working for but everybody cares about what you can do. Tim: I think that make sense especially in America where people don’t tend to work for the same company that long. Particularly compared to Japan. Tadashi: So see those kind of communication or gathering as you know with a new project start some of those projects become a venture or an investment and ends up like a huge company like a Google. Those kind of dynamics I was very interested. That time I think maybe if Japanese companies get that kind of dynamics within the organization Japanese companies would be much much stronger and Japan as a country would be much better. That’s what I thought and then I started thinking about what I needed to make that happen. That kind of process I came up with an idea. Interestingly at that time I didn’t care about market size or growth potential that kind of thing. I just thinking about if this idea could be my lifework or not. Tim: compared to 15 years ago. Compared to 2000 there are a lot more networking events here in Japan where founders can meet each other where large company businessmen can meet small company founders? Do you think it’s similar to what you saw in Silicon Valley to what inspired you in Silicon Valley 15 years ago or does Japan still have to make a lot of improvements? Tadashi: Okay so the concept is we need more improvement and some of that is we just need more time – I mean more history to be like a Silicon Valley. Tim: so we need more time. More time to do what? What needs to be fixed? Tadashi: Okay two things. One is from the industry point of view of course you need more entrepreneurs or capitalist who is experienced. A couple of height. Tadashi: Ups and downs which means that they don’t really need training to experience that is one thing. The other thing is education or thinking process. Tim: So education of young entrepreneurs? Of new founders? Tadashi: If I may I would actually go back to elementary school to change entire education. Tim: That’s interesting. How would you change it? Tadashi: As you know Japan’s education system if you can say it in a simplified way is to memorize the correct answer which is written on the blackboard or written in textbook. Tim: Yeah it is very memorization. Black and white. Right and wrong. Tadashi: So the good student in Japanese means good student who is good at memorizing the things or to give you the answer you are supposed to answer. They don’t create new ideas or some interesting ideas which is not necessarily a good idea or excellent idea but some interesting or funny idea could stimulate the team to think about the new stuff but that kind of thing is not thought of as a good student. Tim: Right. That’s a big change though. Tadashi: Almost like a 180 degree turn. Tim: But you’re working now with a lot of – your working now with new founders and new startups as well aren’t you? That’s part of what the Tenex is. Do you want to talk a little bit about Tenex because I’ve heard really fascinating things about what you’re doing? Tim: so for the large corporations do you mean helping them to invest in startups or to help them to work with startups? Tadashi: Help them to use or work with startups or to start a new project within their organization. Tim: that must be really challenging. Tim: the classic innovators dilemma. Tim: So they can’t spin out a little tiny business. So do you think large companies in Japan are becoming more willing to work with startups? Tadashi: Yes. That’s definitely a yes. Tim: That’s a great thing. 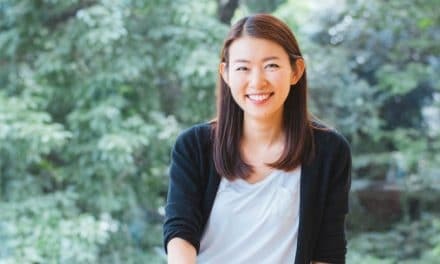 So what do you think changed why are these big Japanese companies suddenly willing to work with startups? Ten years ago it was very different. What changed? Tadashi: Those large corporations cannot develop very good gross strategy by themselves. Tim: Do you think we’re going to be seeing more M&A activity in Japan? Do you think large companies will look to buying startups as a way to accelerate their growth? Tadashi: Yes I think so. Tim: Traditionally large Japanese companies haven’t bought little startups but you think that’s changing now? Tadashi: Yeah that’s changing. I think one of the reasons why is that ten years ago – fifteen years ago large corporations were not going to partner with startups or buying startups is I think an employment issue. Japanese companies tend to think about how to secure the job for your employee before thinking about innovation or thinking about growth. So buying some company say it had 100 employees people say okay instead of increasing employee number of employee by 100 you can use our guide and pick 100 employees do something like that venture. Tim: And that never works very well. Tadashi: Yeah that never works. So I don’t know if it’s a fortunate thing but for the large corporations today they cannot afford to keep all of the employees so you need to abandon people with low performance. Tim: So Japanese companies in general are being more comfortable with firing staff when they’re not needed? Tadashi: I don’t think that we should say more comfortable but they have no choice so fifteen years ago still it should be biter to fire some people and utilize some resources outside of that company but at that time still they couldn’t make that kind of big movement but today they have no choice. Tim: So they’re being forced into it? Tim: Well that makes sense. Change is good for startups any kind of change. Tadashi: Any kind of change is good. One more thing that I’d like to see actually is better open market for the times. Tim: So the ability for people to change jobs more freely? Tim: Is the problem that there’s a shortage of talented people in Japan or is the problem that people are unwilling to change jobs or the companies are unwilling to hire from other companies. Tadashi: Okay. It’s more like culture issue. Even today for example if executive vice president of this corporation goes to the chairman of the startup company like went to the Google at that time. If that happens in Japan today that person might make some mistakes and screw it up for their organization. Tim: So society would see it as a failure not as a new adventure. Tadashi: Still that happens. That is many peoples mentality so that ends up with a low movement on the current. Tim: So the biggest need for talent is more on the executive level. The people with business experience not so much the engineers and the younger crowd. Tadashi: Oh that’s a good point. Engineer is never the issue but from that ventures point of view we need more mentors. Very good mentors. Like for example back to the Google case I don’t think could be successful without those kind of people. For example what if he has a very very good mentor who can control. Tim: I guess that goes back to what you were saying before it really is just Japans more time so Americas been thru three or four generations of successful entrepreneurs who invested in the next generation and I think Japan well I guess people like you are the first generation to invest in the next one. Tim: Even if he fails. Tadashi: Even if he fails people will say oh you had a very good – you accumulated the experience. Tim: Well this brings up another point that it’s a lot of people talk about that Japan the fear of failure and the price of failure in Japan is very very high. Is that something you see changing now? Tadashi: A little bit. Slowly. Everybody start saying we have to make mistake instead of making no mistake no time but still in the bottom of your heart they don’t. Nobody wants to make a mistake. Tim: It seems to me that if you talk young graduates, engineers they seem to be a little more okay with failure because they can recover it but I think the people you’re talking about the potential mentors the successful businessmen are still very afraid of looking like they failed. Is that hope that we’ll see that change in the future? Or do we have to wait for another generation? Tadashi: I think it’s changing but still we need to wait for that other generation. Tim: You still spend a lot of time in Silicon Valley right? Tadashi: Not very often these days but yeah of course yes. Tim: Of course our listeners are outside of Japan so what do your think that foreigners that most often misunderstand about Japanese startups? Tadashi: Actually I don’t know if they have any information or knowledge on startups in Japan. Tim: Well we’re trying to fix that. Tadashi: For example large startups start buying startups in the United States. Tim: I don’t think we can call a startup anymore. If you own a baseball team you can’t be a startup. Actually DNA owns a baseball team too. Tadashi: I guess my answer was I did not have experience with Americans or foreign people the misconception of in Japan. It’s before having a misconception I mean they don’t know. Tim: So it’s just a complete lack of information. They don’t know enough to misunderstand. Tadashi: You got the point. Tim: Alright you know Japan shouldn’t just copy Silicone Valley. That won’t work because it’s unique. The culture is different what do you think are some of the strengths and weaknesses of Japanese entrepreneurs? What are they good at? What are they weak at? Tadashi: I think especially talking about younger generation like twenties they’re much more flexible in thinking which the people in the United States is as good as. Those guys are very innovative. As innovative as people in United States but they Japanese guy could be better to make the good idea into some corporations. Tim: So they need to work on execution? Tadashi: Yeah work on execution I think. Tim: I guess that goes back to what you were saying before about the need for education and mentoring. Because that’s the way to fix it. Tadashi: And also the weakness is again the English. I’m not talking about just the language but the global mind. Tim: I have to say that I’ve been very surprised and a lot of people come to Japan from America and Europe are surprised at how many Japanese founders do speak English. Especially after a couple of beers. Tadashi: That’s the point so it’s a part of a language issue it’s more on the cultural issue. For example I was at Realcom I set it up at the Silicone Valley office in 2006 or something and I brought three engineers from Japan to the Silicone Valley office and one guy is a very talented engineer but doesn’t speak very good English. The other guy speaks very very fluent English because he spent six or eight years when he was a student. He is almost like a native speaker. The last guy is kind of a ventures guy and he cannot speak very good English just an average fellow. What happens at the end of the day is the adventurist guy became most successful. Tim: Just because he was trying different things. Tadashi: Of course he tried very hard to be a part of Silicone Valley and trying to expand his friend network. Then still his English was not very good but everybody tried to understand him. And the native speaker guy too shy to join the group. Tim: Its funny you say that I think because ,my Japanese even after 20 years is still not fluent but I think your right the key is just getting in there and trying. People are very friendly and open if you’re trying. That’s probably universal in the states Japan whatever. Actually recently a lot of Japanese new companies are moving to San Francisco to get funding. What kind of companies do you think that’s a good idea for? What kind of companies do your think it’s a bad idea to move to Silicon Valley? Tadashi: Of course we see many many cases of Japanese startups going to expand their business into the United States but in most cases I don’t see the value for that. Honestly speaking. We’ve seen many cases try to expand their operation globally but I don’t see many cases of changing their organization or changing their strategy to fit in the global market. Tim: I want to talk a bit more about that. So for Japanese companies who say okay now it’s time to go global. What do they have to change? What mistakes do they usually make? Tadashi: In IT not automotive but in IT’s should start designing of the company or product or business model not in Japan but in the United States or English speaking countries. Tadashi: I guess two things. One is a culture is a little different so Japans culture is not so universal so it’s better to adapt American idea into the other countries that is one thing. The other thing may be the same reason okay back to the other one we develop a software and enterprise software and the requirement is very high. I have some large corporations as a customer like Boeing, PNG big large corporations but they understand they are dealing with a new software. They understand those products have bugs. Tim: So are the American customers more forgiving than the Japanese customers? Tadashi: In a sense yes. In other words those people those customers can appreciate new technologies. They understand they have some problems but and of course that should be fixed but some of them they see the value but Japanese large corporations tend to just point out the problem. So that’s why startups have a very hard time to compete with large corporations. Tim: so would your American customers give you better feedback about what could be improved and what they liked? Tim: Where the Japanese customers were trying to have a more standard vendor/customer relationship. Tadashi: So for example you have to be as good as IBM in terms of quality assurance. I tried to be. Tadashi: So that’s why I said maybe it’s better its advantageous if you have a very good and you have a good idea its advantageous for you to be in the United States. Tim: Let me ask you this because I know your working with a lot of new founders and what is the most important advice you can give to young Japanese who want to start a company now? 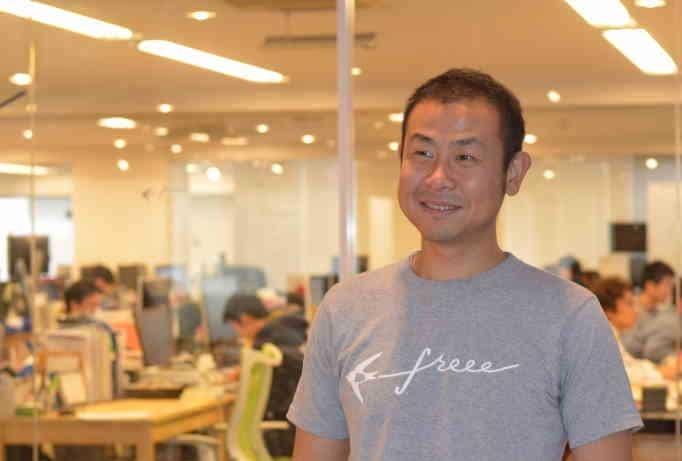 Tadashi: In general when you read a textbook for say startups or to get a funding maybe it says what is market potential, what is growth potential, what is the company advantage that kind of thing. That is not the essential question you have to answer. I think the essential question you have to answer is why you have to do this business but why you? Tim: So not what but why. Tadashi: Why you. In other words the successful entrepreneur or the successful business has the convincing story and it is almost as identical as their founder’s personal history or belief or dream. So even if some markets say social gain is in the blue and still many prices to get our money but if you are not believing in the game you should never do that kind of business. Tim: so do something your passionate about that you have a reason to do. Tadashi: Try to find out why you are here and how you use your life for the benefit of other people. If you have answers for these two getting funding or getting approved for your partner is much much easier. That’s my belief. Tim: That’s great. Listen this has been fantastic. Is there anything you want to talk about? Tadashi: Yeah again for the Japanese entrepreneurs I think first you have to go somewhere. I don’t want to necessarily say silicone Valley but if you are thinking about Asia business. Tim: So go out of Japan. Tadashi: Yeah out of Japan. Tim: why is that? Just a different way of thinking? A different perspective? Tadashi: Yes to get a better perspective actually to better understand Japan. Tadashi: So sometime it’s better for you to understand something not from the inside but from the outside. Tim: I guess I can respect what you’re saying your whole inspiration for your company and your vision of changing how Japanese corporations communicate and share knowledge came from your prospective looking outside back into Japanese society. That make a lot of sense. Listen thanks so much for sitting down with me. This has been fantastic. Tadashi: Yeah same here. It was a pleasure. Thank you very much. Okay we’re back. 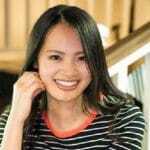 If you want to see the links and the resources that we talked about during the interview or if you want to get in touch with Tanimoto on social media please check out the links section of the post. And as always the complete text of the interview will be available in the first comment on the post. And you can access either of those at disruptingJapan.com/show6. 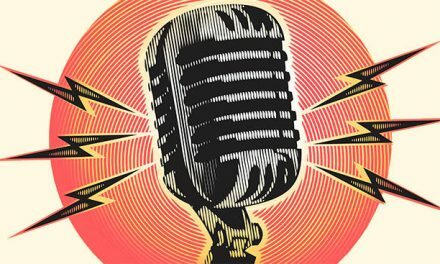 So please let us know what you think and if you want to get in touch with us or have ideas on how we can improve the show please send me an email anytime you feel like it at [email protected] and if you like what we’re doing and you want to help us get the word out please leave a review for us on iTunes. It’s really the best way you can support this show. This is Tim Romero and thanks for listening. Tim, Thanks! Great story, so rich with insights. Very inspirational. Clear, insightful and honest. Tanimoto is certainly someone I’d like to do business with. And we both entered the IT fray in Tokyo at the peak of the bubble in ’89. I hope to find out more about his KM platform and how/why it works. I think all the big Japanese companies who bought into U.S. -made KM platforms eventually gave up on them. Thanks for the kind words. Tanimoto-san is really an impressive guy. I think we’ll be seeing great things from his Tenex project as soon as he brings it out of stealth mode. Thanks for listening.